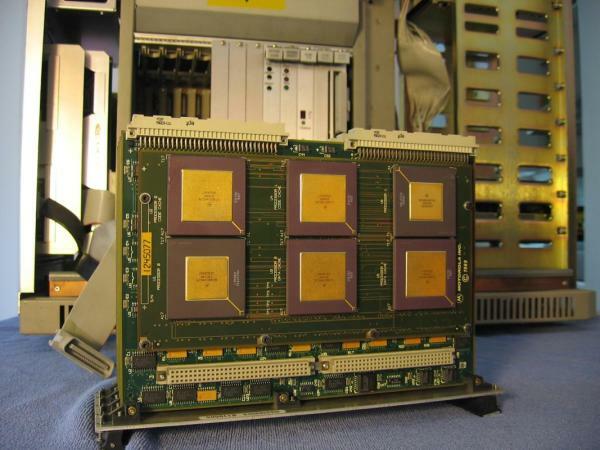 The Delta Series 8000 was the m88k-based line of these successful multi-user server systems based on VME-boards from Motorola. A large range of different configurations housed in VME-cases of different sizes were available. 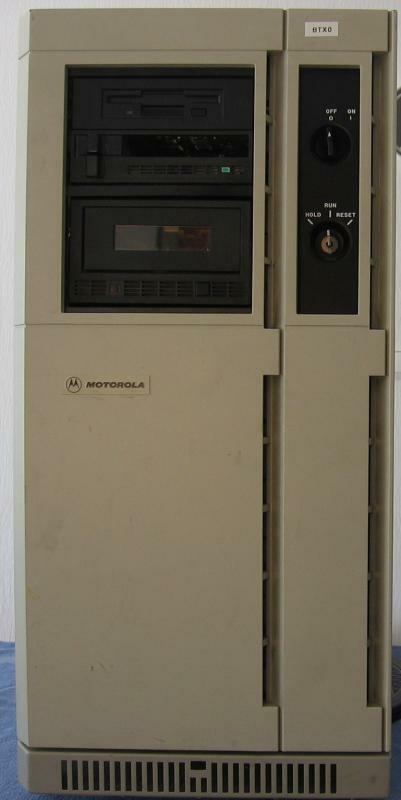 Motorola used a unique numbering scheme to differentiate the various 8000 models; for more information, look at this picture. The tiny M8120 computer theoretically is also a member of the Delta Series 8000, but due to the lack of VME-slots and its general obscureness it is described separately. The following paragraphs list the various members of the Delta Series 8000; it is noteworthy that all of the below mentioned VME-cases also were used with m68k-based systems from Motorola. All of the below linked pictures are taken from the Motorola Field Service Guide, and as such, © Motorola. 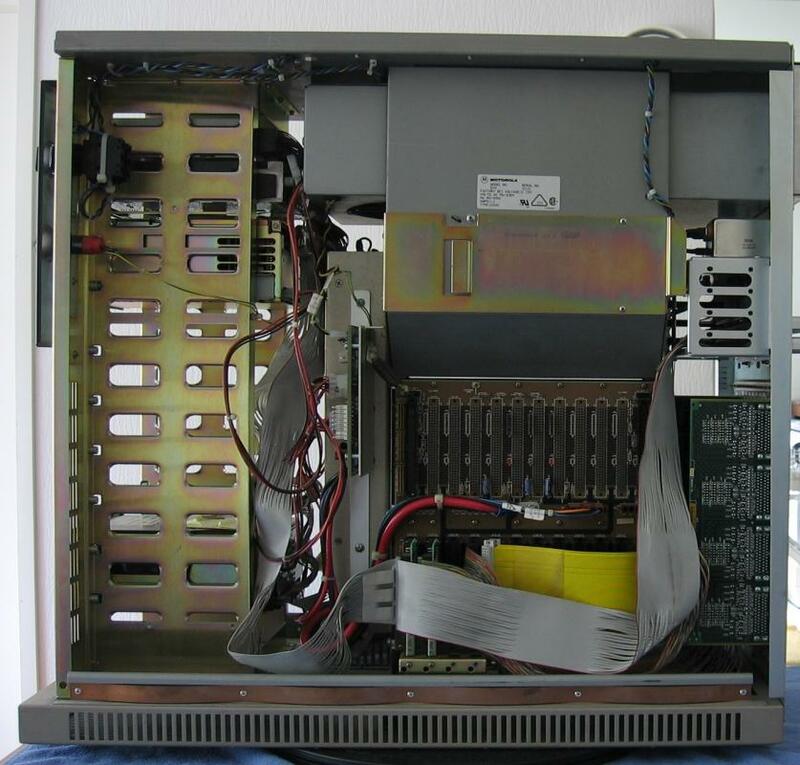 The Model 8220 is a desktop computer system which has three 6U VME-slots, one occupied by a MVME187 single-board computers, six transition slots at the back and three 3.5″ bays for half-height SCSI-devices. 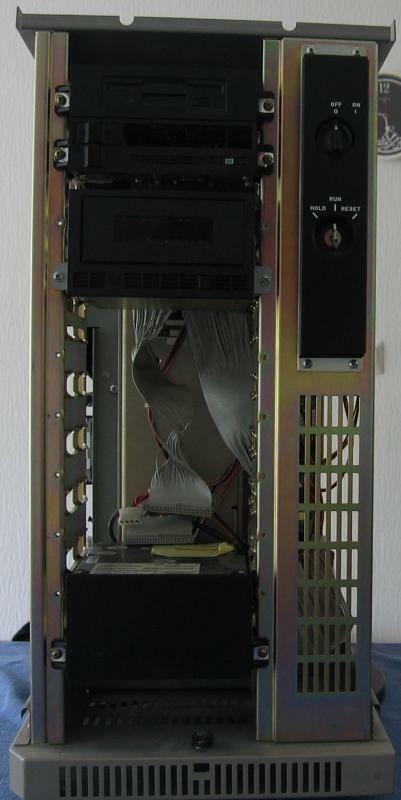 The tower-chassis of the Models 8420 and 8440 has six 6U VME-slots and eight transition slots, five half-height peripheral SCSI bays (three for removable devices). The 8420 features a MVME187 single-board computer, while the 8440 is driven by a MVME188 based solution. These models feature a 19″ rack-mountable chassis which 12 6U VME-slots, 17 transition slot and five 3.5″ bays for half-height SCSI-devices. 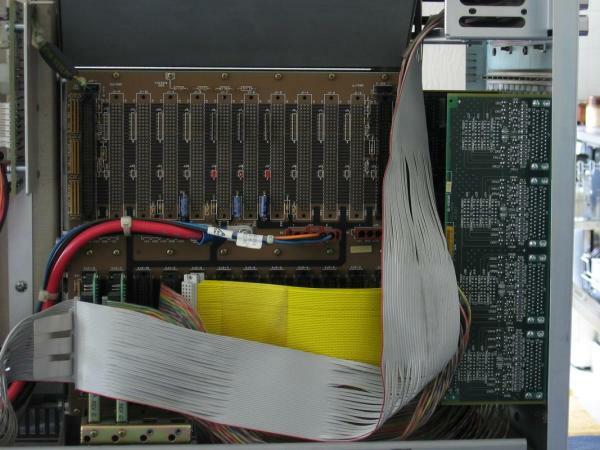 The 8520 features a MVME187 single-board computer, while the 8540 is driven by a MVME188 based solution and the 95xx models by various MVME197 boards containing 88110 CPUs. 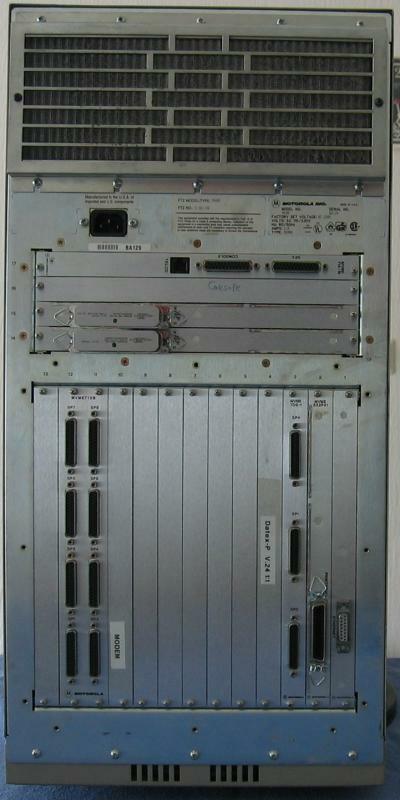 The pedestial, tower-chassis of the Models 8620 and 8640 can carry up to 12 6U VME-cards, 17 transition cards and ten half-height peripheral SCSI bays (four for removable devices). The 8620 uses a MVME187 single-board computer as system controller while the 8640 facilitates a MVME188 setup. 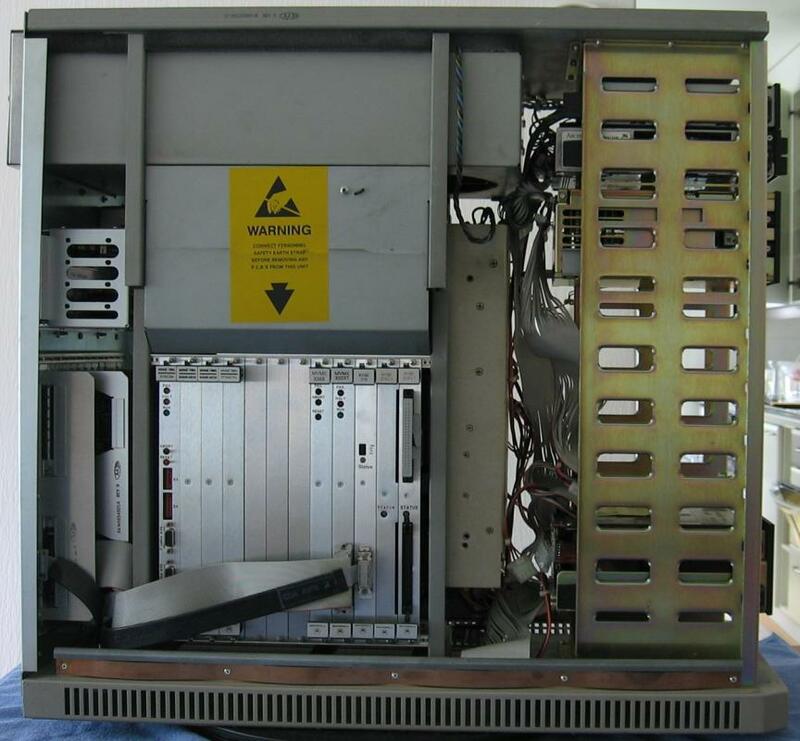 These were the largest available pedestal VME-cases, containing 20 6U VME slots, 20 transition slots and 12 half-height SCSI bays, up to four are externally accessible. The 8820 features a MVME187 single-board computer, while the 8840 is driven by a MVME188 based solution. These systems were delivered in a complete rack, with housed different enclosures for the main logic system and the peripherals. 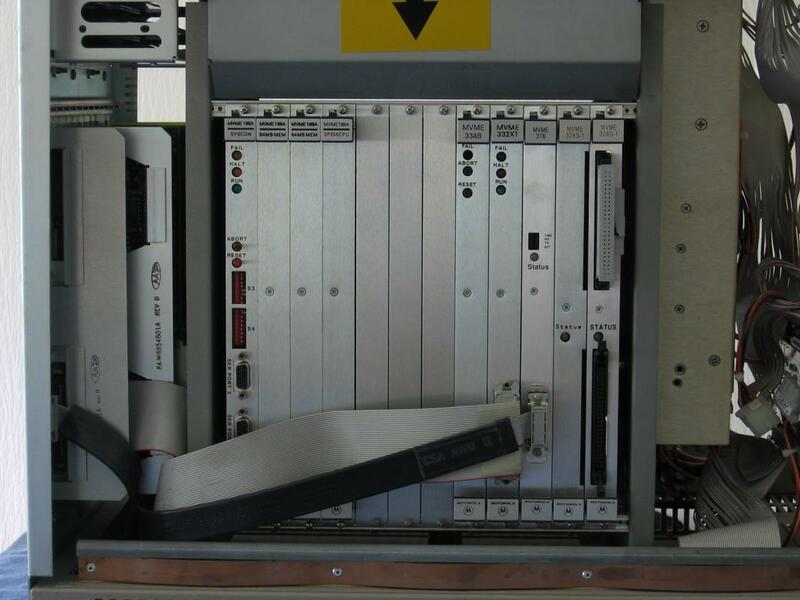 Each rack can house one computer enclosure and three peripheral enclosures or two computers enclosures together with two peripheral enclosures. The Model 8940 features a MVME188 based computer as the system controller while the 99xx computers use various MVME197 boards containing 88110 CPUs. The compatible operating systems depend on the used system controller, refer to the MVME boards pages for information on which MVME-boards supports which OS. OpenBSD/mvme88k (only MVME187 and MVME188-based).